France Córdova is the Director of the National Science Foundation (NSF), the only government science agency charged with advancing all fields of scientific discovery, technological innovation, and science, technology, engineering and mathematics (STEM) education. 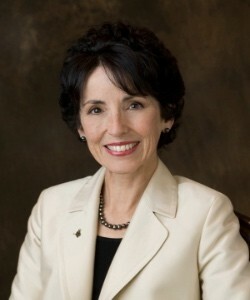 Córdova is president emerita of Purdue University, where she served as president from 2007 to 2012. She previously led the University of California, Riverside, as chancellor and was a distinguished professor of physics and astronomy. She received her Bachelor of Arts degree from Stanford University and her doctorate in physics from the California Institute of Technology in 1979.